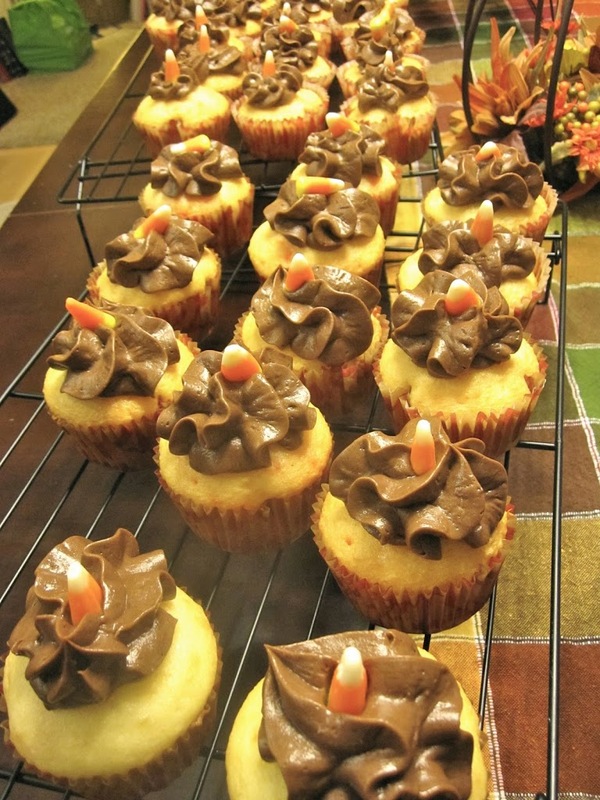 Aren’t these just the cutest cupcakes ever?! When I signed up for the Awana snack sheet last week, I knew that these were what I wanted to make for all the Awana kids. I had come across this recipe in one of my frugal saving emails I subscribe too and I quickly pinned it to my Pinterest recipe board ( Pinterest is my newest obsession) so I wouldn’t lose the recipe. The recipe is very easy. All your doing is following the directions on a box of white cake mix. Since I needed a ton of cupcakes, I used two boxes of cake mix. When you’ve got your batter all mixed together, divide it evenly into 3 bowls. 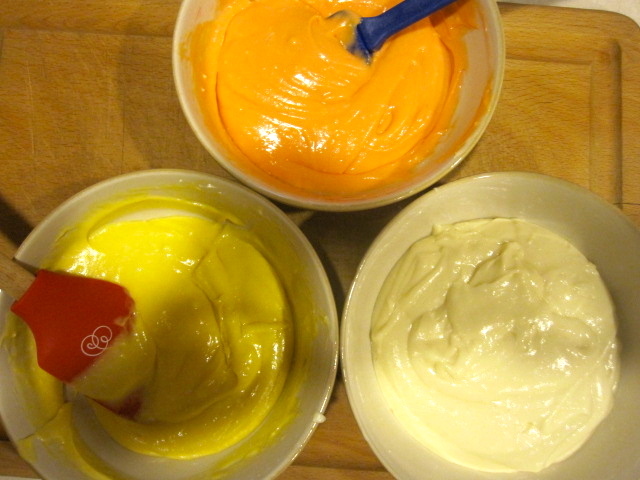 Take your food coloring and squirt some of the yellow and red into one of the bowls until you get your desired color. The orange, we found to be a bit tricky. It came out a different color of orange every time. Finally, on our last batch, we got the color right. Squirt some yellow food coloring into another bowl, leaving the last bowl with your white cake batter plain. That’s my sister Jewel. 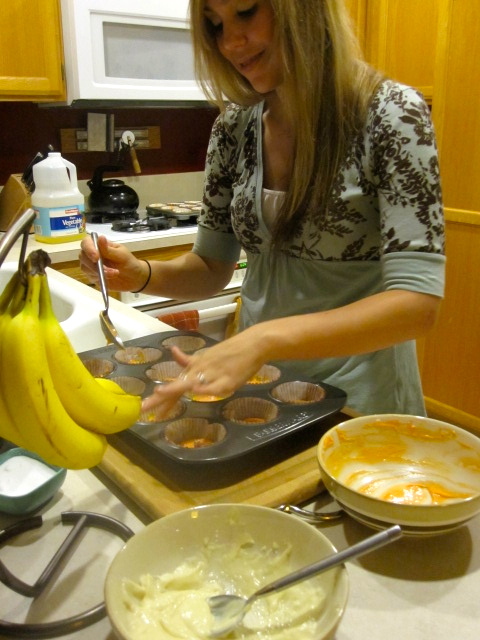 She was sweet enough to offer her help, which ended up being a lifesaver because cupcakes are fun to make, but more fun when your making them with people you love. Plus, she brought me a Salted Caramel Mocha from Starbucks, which makes me love her even more, lol! 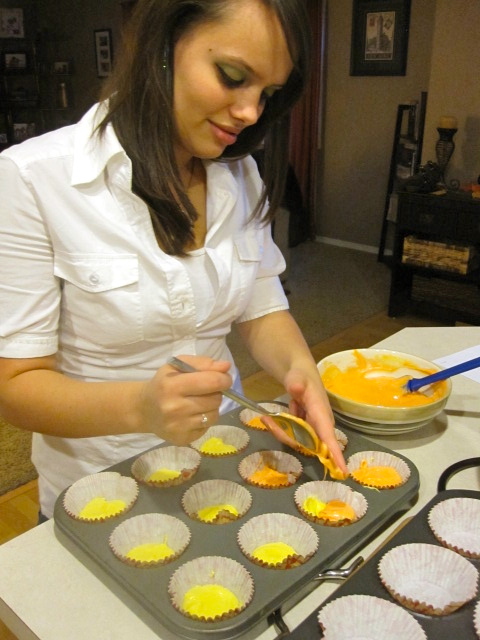 Between me and Jewel, we got our cupcakes layered ( in the order of yellow, orange, and white) in no time. Well, that’s a lie. It takes some time because your layering 3 different colors together and then spreading the batter around to make it even. 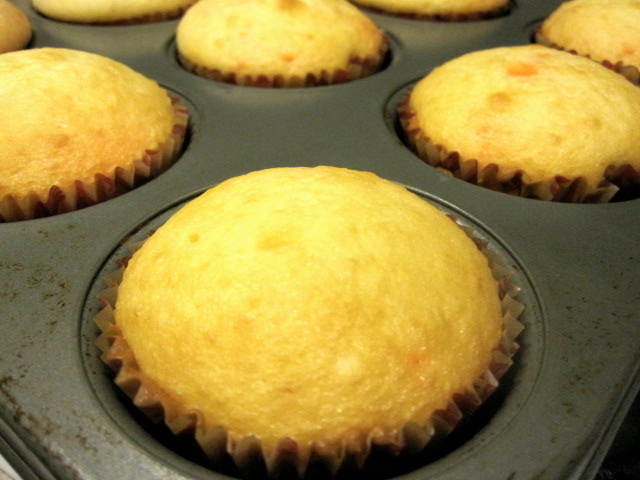 It’s probably the most time consuming part of the cupcake making process. But we had fun with it. 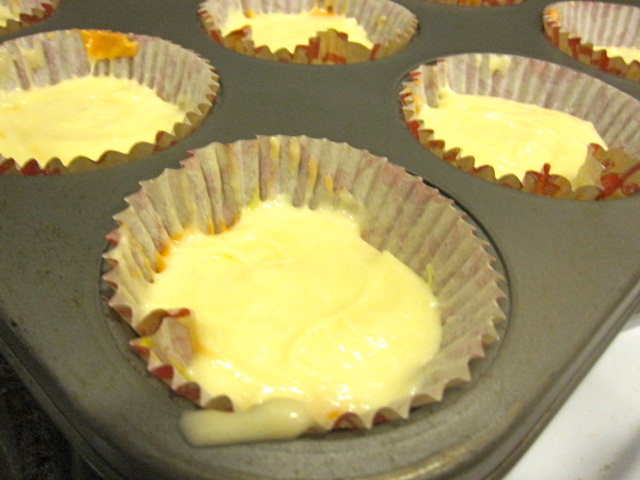 Once the cupcake papers are 2/3rds full, pop them into the oven at the cook time the directions say to cook it at. I used the Pillsbury brand and it said to bake it at 350 degrees for 18-24 minutes. Ours were all perfectly cooked at 18 minutes and then we allowed the batches to cool on a wire rack, while we breaked for dinner and some Captain America. 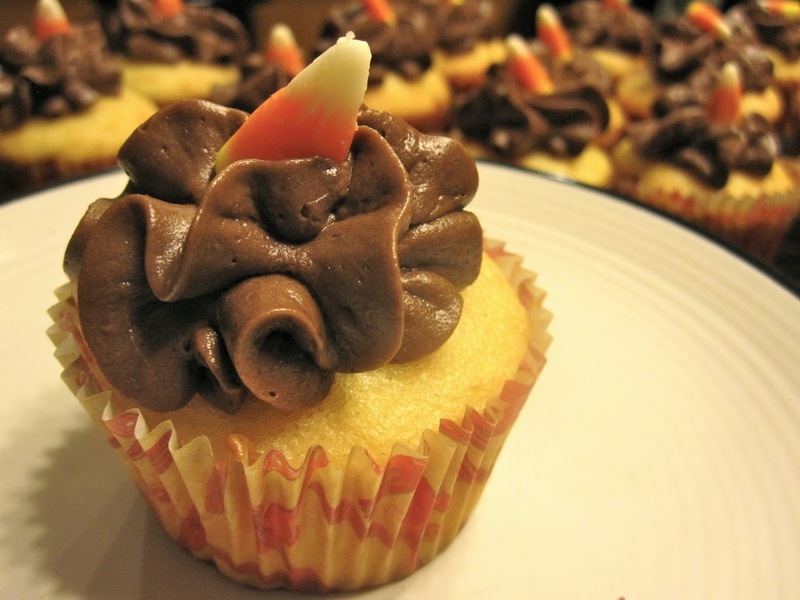 When the cupcakes were cool, We made a delicious Chocolate Buttercream Frosting that I had come across the night before on Savory Sweet Life’s blog. This frosting is delicious and I could eat the whole bowl. 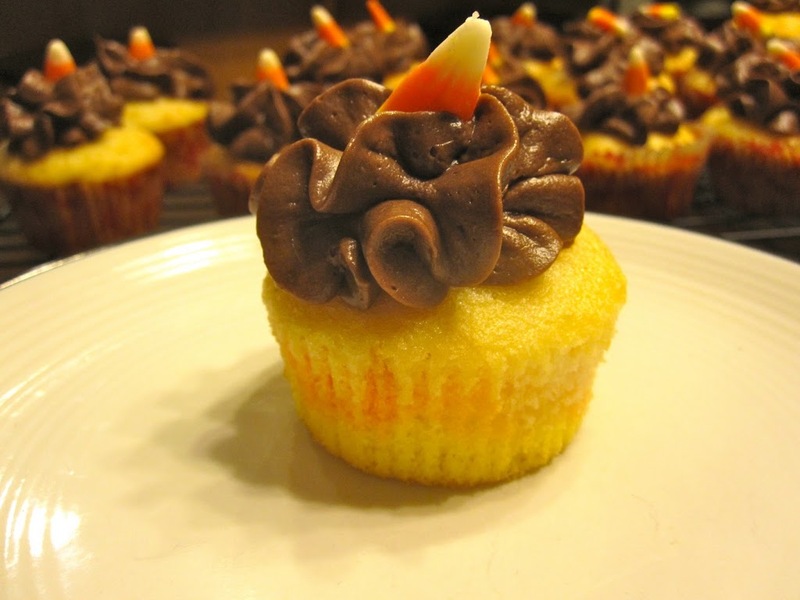 Once you’ve frosted your cupcakes with whatever frosting you choose, top with little pieces of Candy Corn for added cuteness! 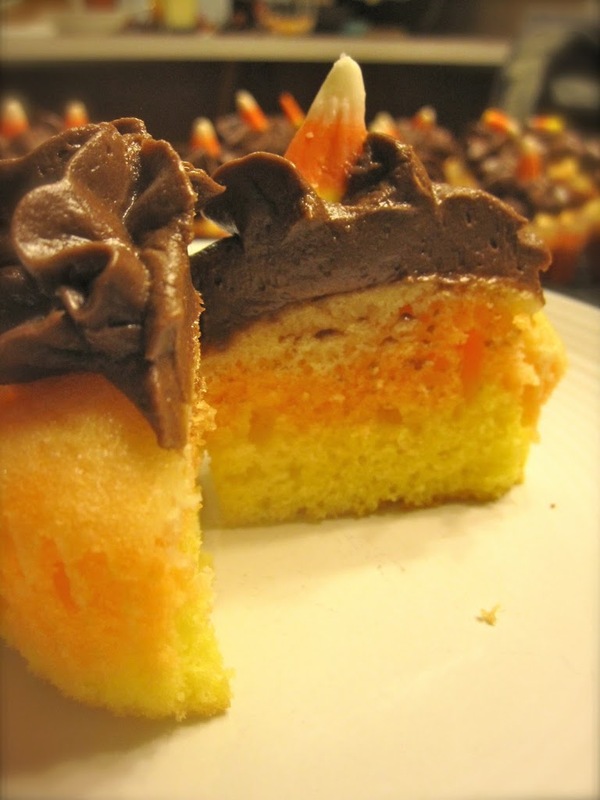 Such a sweet treat for a Halloween party! Thank you :) They were a lot of fun to make, super delicious and super cute! Super cute cupcakes!! Love them! I'm you're newest follower. I just found you through Crumbs and Chaos. Please come by and visit us to when you get a chance at http://everydaysisters.blogspot.com. We also have a weekly link up theme party called Everyday Sisters Sharing Sundays and this weeks theme is Sweet and Savory. Please come by and link up and join the fun! These are so cute! Looks like you had a lot of fun in the kitchen. 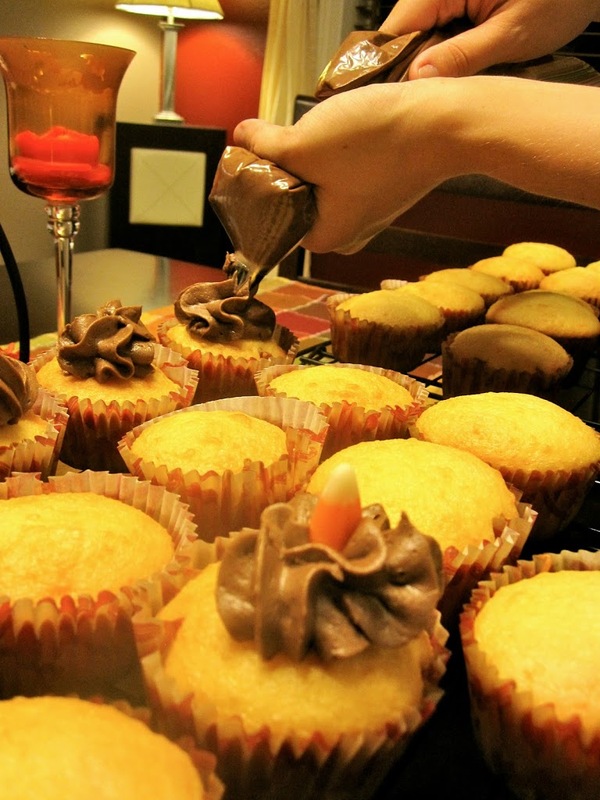 That's the best part of cupcakes - they're so fun to bake and decorate. Thanks for sharing on Sweet Indulgences Sunday.